Did you know that the four major auto insurance carriers can have completely different premiums for the same coverage and similar drivers? If you haven't talked with your own agent about your car insurance discounts, you should. Some agents won't volunteer to give you everything you deserve unless you ask! *Fact* Many auto insurers are actually a collection of several insurance companies in which each caters to a certain type of driver. The worst drivers go in one company, the best in another, and a lot of people wind up in one of the middle companies. These middle people pay less than the worst drivers, but more than the best. Which one are you in, if any? 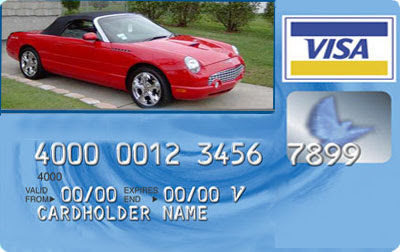 *Fact* Many insurers now use your credit history as a major factor in determining what to charge you for auto insurance. In some cases, if your credit is excellent, you could save money by moving your insurance to a company that uses credit as a rating factor – even if you have a so-so or poor driving record! If you have poor credit, you could save money by moving your auto insurance to a company that does not use credit as a rating factor. *Fact* Some companies give a discount for your insurance on 16-17 year old drivers if they are good students in school! For Eleven Ways to Discount Your Auto Insurance, visit our website and see what most insurance agencies don't want you to know. And if you have a good driving record, fill out an Online Auto Quote, and let us SAVE YOU MONEY ON YOUR CAR INSURANCE!